“It seems to be a law of nature, inflexible and inexorable, that those who will not risk cannot win”, said John Paul Jones, a naval fighter in the American Revolution. Does this also hold true in business? This talk is for everyone interested in working on their personal risk strategy and the relationship between risk and return. Participants are of course welcome to share their own experience. In a former professional life, Ralf Lemster was an investment banker, trading and selling financial products in London and Frankfurt. Today, he is the Managing Partner of Ralf Lemster Financial Translations GmbH, offering high-quality translations for discerning clients in the field of financial markets. 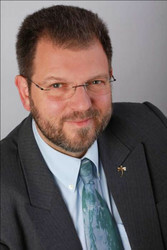 He is a Vice-President of the German Federal Association of Interpreters and Translators (BDÜ), and co-organiser of Translation Days by the Sea.